Congrats...love seeing pics of your quilting. Always amazing and the award is well deserved! So incredible! I am so happy for you all! I got teary-eyed watching the interview! You deserve this....your work is absolutely amazing. Yippeee skippeeee!! I am so happy, excited and proud of / for all three of you. The awards couldn't go to more well-deserving people. I know that none of you "chase ribbons" so that makes it all the more special that you've earned such amazingly special recognition. Big huge congratulations!!!!! You all deserve the wonderful recognition for your talent & hard work!!!! You're a quilting celebrity now!!! WoW! 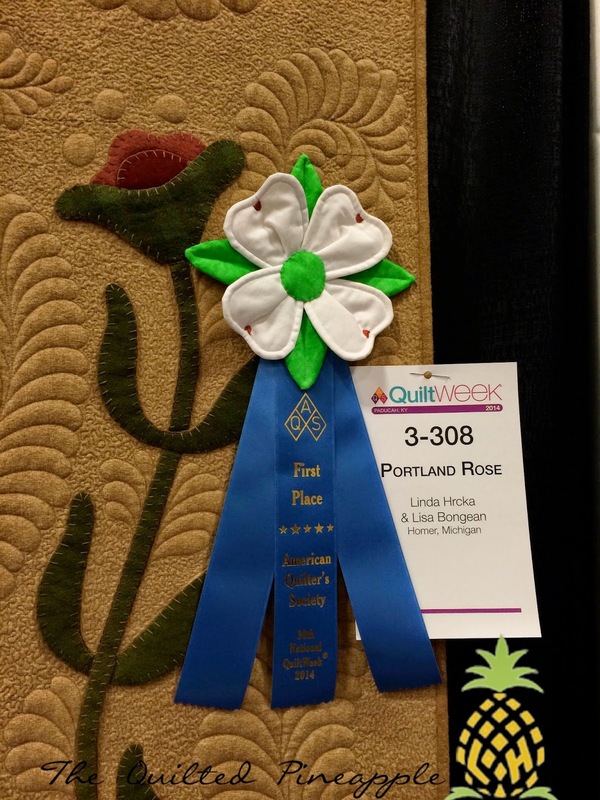 Congratulations your quilting is fabulous and deserves to win. Lisa's designs are always the best. You are both very talented ladies. Fantastic news on every level Linda!!! I don't know which one I like more, both quilts are just drop dead gorgeous! I can almost feel your excitement........... and your right, every quilter I know wants to get to Paducah, just getting the quilts accepted is a feat in itself, ...... to see them hanging there would be a dream,..... to be there and hear your names announced must having been numbing. Huge congratulations to all three of you. Totally fabulous! You deserve it, your quilting is breath taking! Congratulations! What an amazing experience! Congratulations to all three of you! I am so thrilled for you as well as Thelma! You both do outstanding work, and I am glad that your work was honored. Congratulations! Wow!! How out and out exciting! I think I must be reading all the elite quilters blogs, yours is the fourth of my regular reads to tell a winning tale. Well done, I am so thrilled for you. Congratulations Linda! So exciting and so very well deserved... I've been drooling over your beautiful winning quilt since the winners were announced - pinning the awesome pictures of it. Thanks for sharing your talent and excitement with us... Sweet! Congratulations to you girls...beautiful designs, wonderful piecing and appliqué and positively AMAZING quilting! How over-the-top aw4esome!!! Congratulations to all three of you - that is quite the feat!!! So very exciting and well deserved!!! Congratulations again on your well deserved awards! So fun to meet you in Paducah. How exciting. Awesome quilt. Love your quilting. You are a inspiration. Wow, wow, wow. Congratulations! What an amazing trip that must have been. Congratulations! Your work is aways stunning and very inspiring. Your awards are very well deserved. Thank you for sharing!! Well deserved honors all around! So glad you made the trip! Linda, what an incredible honor! I am so very happy for you and the other ladies! Very, very deserving!! I can't imagine the joy that is within you right now. Big congratulations and big hugs to you! Once again as I read this I have tears streaming down my face. You deserve every bit of this. I am so happy for you. Congratulations! It must feel awesome to have your wonderful work recognized. I'm glad you followed your instincts and went to Paducah! I'm so glad that you were there to enjoy every moment of it! I didn't realize it was a surprise and they didn't give you any warning with a phone call! Would have loved to seen the look on your face when the quilt was announced and you saw the picture of it up on the screen! :) Congratulations to all three of you! Congrats Linda! So exciting and so happy for you that you were there to be a part of it all! Well, Patti just took my line. I am reliving your awesome, awesome week;-tears rolling my cheeks. It was great being part of your excitment, thanks to texting!!! Congratulations again, Linda. Sometimes the moon and stars align (in this case quilter, quilt maker, quilt designer) and all it right with the world. Well deserved and Congratulations to all of you. Congrats! always LOVE your quilting! Saw your quilts in Paducah and was blown away. I think I took a picture of every square inch. I thought Portland Rose was beautiful on your blog, but pictures did not do it justice. My jaw dropped when I saw it at the show. Beautiful, awesome work. And thank you for the inspiration. Congratulations! It is an honor that is well deserved! I am so happy for you and what a wonderful honor. 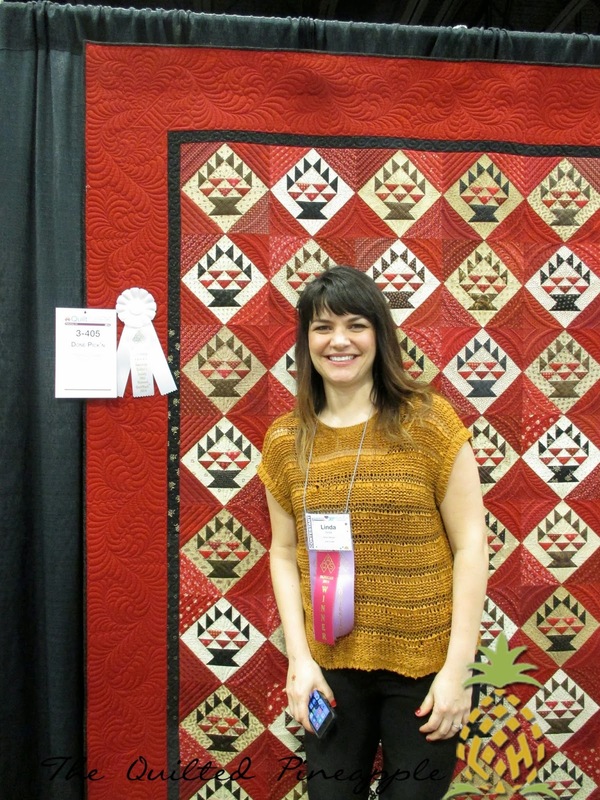 You do such beautiful quilting and I love the work you did on both quilts, you definitely deserved the honor. Congratulations~! Both quilts are just beautiful. You ladies definitely deserved ribbons. Congratulations!! That is so amazing. You are so talented and this award is very well deserved! Savor the moment! Congratulations! 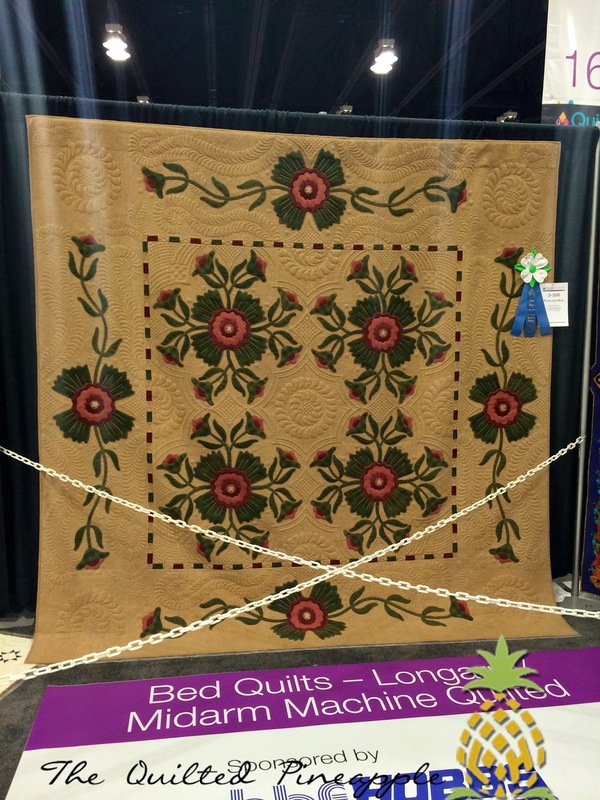 It is wonderful to see traditional quilts win! I am so happy for you! You make me want to squee right there with you! Congratulations to the 3 of you! Well deserved by all three of you! This is fabulous news. Congratulations. Outstanding Linda!!!! Congratulations, the honor was well deserved!!! Your work is so beautiful Linda! I am just thrilled for you and Lisa and Thelma! Each of you deserves this wonderful acknowledgement. Congratulations! 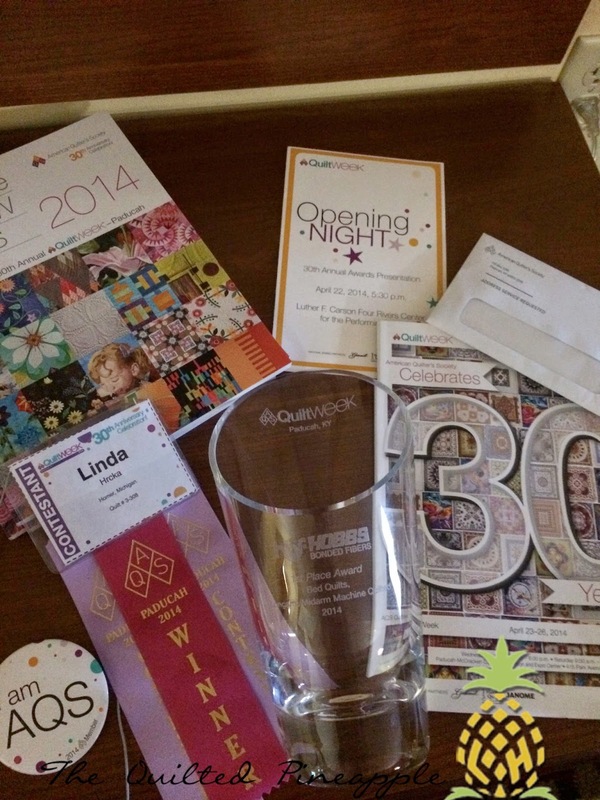 Your awards are well deserved--your quilting is amazing and Lisa's designs are beautiful! Well deserved both of you!! I saw this quilt at Road to California and it stopped me in my tracks!! 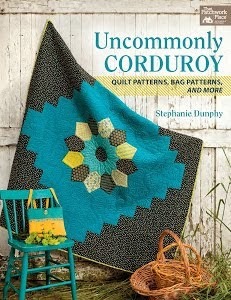 By far the BEST quilt there...if fact I went and bought the book just so that I could have the pattern!! Congrats!! What a team! I'm shaking!! So happy for all 3 of you! Linda, this is so deserved! Congratulations!!! Congratulations, Linda! You so deserved it! Oh Linda - it really happened! How unbelievably happy I am for you! Your talent abounds to no end and you deserve this! Congratulations, my friend! I hope you have many, many more wins! congrats, what fun for you. You deserve it! So excited for you! Congrats - no one deserves it more than you do! I was in Paducah and was lucky to be able to see your quilt up close and in person. It was absolutely beautiful. 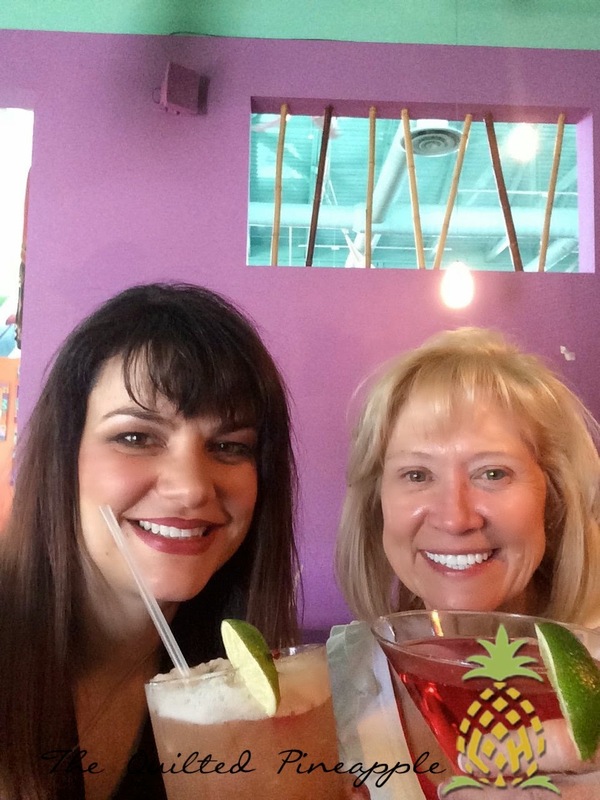 I was at a small event with Lisa on Thursday and she had wonderful things to say about you. I'm sorry I didn't get to meet you. Congratulations!! Congratulations Linda! This is well deserved. You are an awesome quilter and your feathers are just to die for! You should be so proud! Thanks for sharing this experience with all of us! Congratulations! 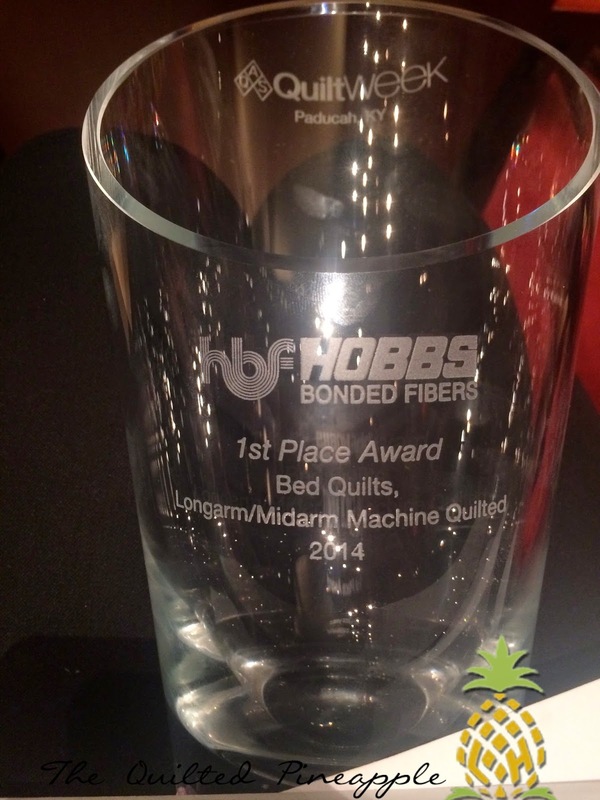 Very deserving, your quilting is magnificient! I need to get a quilt finished and send your way, if you're still accepting new customers! I can just FEEL your excitement and enthusiasm, Linda. Congratulations to both you and Lisa. A well deserved honor to say the least! Congratulations to all three of you! It is well deserved! Your work is amazing. I have a feeling you are going to be very busy quilter. 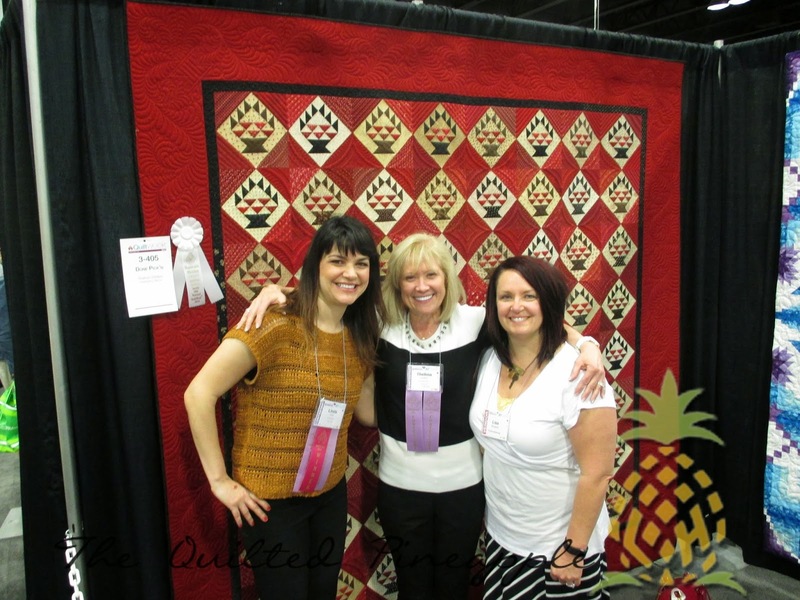 Two stunning quilts and three very talented and creative ladies. How can that NOT equal a ribbons and high accolades? Well deserved, all 3 of you. Both quilts are stunning. 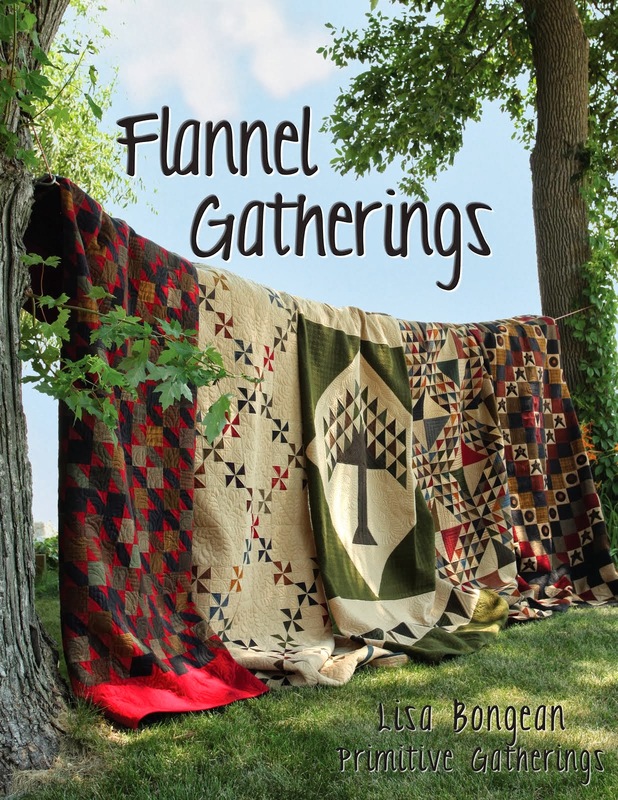 Thank you for representing all of us who love the traditional quilts. Your awards are well deserved! How very exciting! SO glad you made the trip and were honored more than once, what a dream come true. The quilts are beautiful! CONGRATULATIONS Ladies! You are so right, it is our version of the Academy Awards! Congratulations, you are so deserving, you do fantastic work! Wow Weee... I'm so excited for you, Lisa and Thelma!!! Your work is AMAZING!!!! 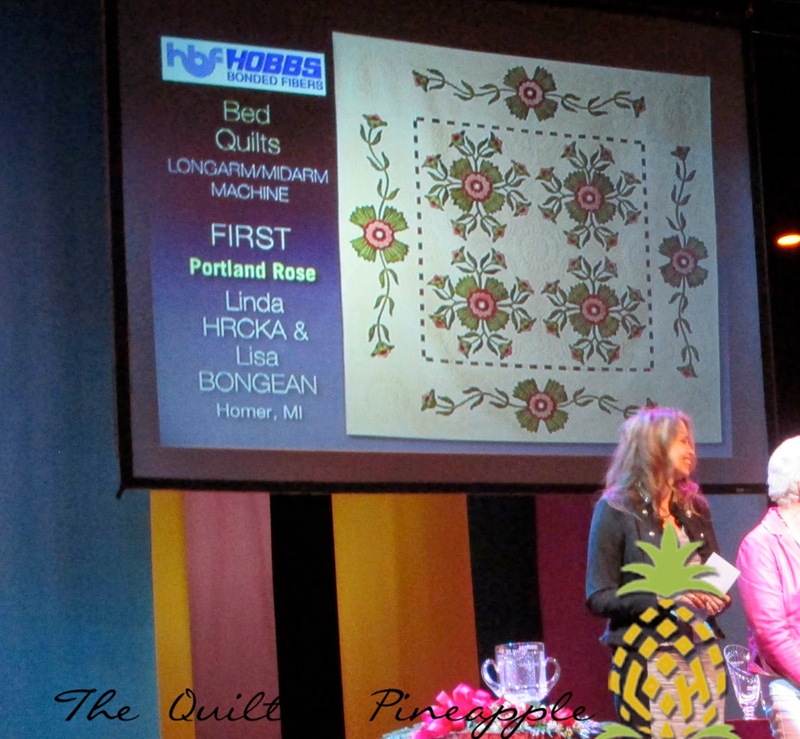 I had the honor of seeing Lisa's Portland Rose quilt up close at Road to California to be honest I think I stood and admired it a full 20 minutes. Your quilting is amazing!!! Congratulation to you and your amazing friends. I was there and saw them in person and felt like I knew you just because I follow your blog. I told the friends I was with, "see that quilt, she's one of the bloggers that I follow and sometimes she even comments on my blog". You were like a movie star that I had met online! 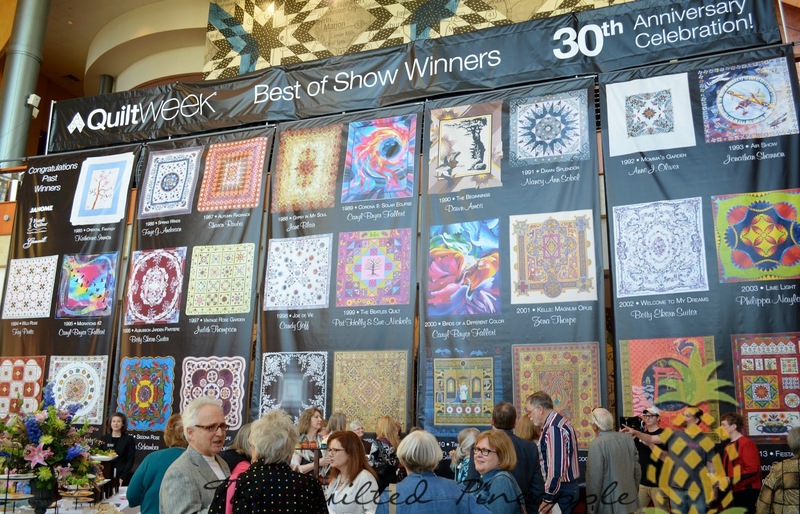 Your quilting is extraordinary and the award is much deserved., The Paducah show is my favorite of them all and the town and people go all our for us quilters. Congratulations. The quilts are stunning. Thank you for sharing your awards. It is so exciting that you won and I got to see the quilts in Paducah! On Thursday at a small restaurant Lisa had a question & answer session and she had so many wonderful things to say about you and your quilting. Thanks so much for sharing your quilting with us! I visited Lisa's booth and was so thrilled to see her/your gorgeous quilts there. 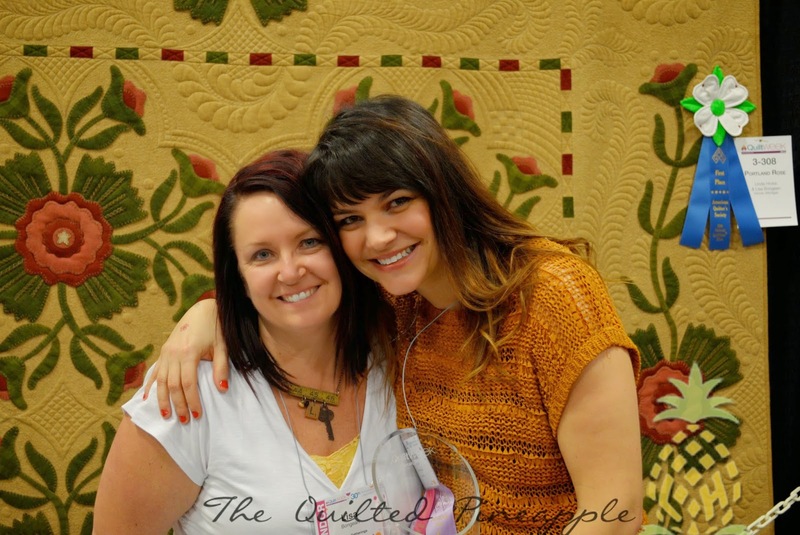 I have been visiting your blog for some time, and am absolutely blown away by your quilting! Lisa was at her booth, and I took the opportunity to tell her how much I admire her designs and your quilting, and she told me that you won! With the HUGE crowds, I'm afraid I just didn't recognize the quilt as it was hanging, nor could I read the label. Anyway, CONGRATULATIONS to both of you. I'm so pleased for you, and think your quilting is the best I've ever seen. Your designs are so innovative and perfectly executed. Aside from winning, I hope you enjoyed your visit to our commonwealth, and hope to meet you next year! Congratulations!!! It's so lovely to see your work recognised - and that goes for all three of you!! Oh my..."Congratulations" to you all and what an honor for everyone. This was well deserved by all as you gals do such wonderful work. Oh, now that you are famous.....bet you have waiting lines for your quilting! Congrats!!! I'm so happy for you! What a crazy, wonderful surprise for you! I watched the interview too. You can just feel your excitement! Congratulations, congratulations, Congratulations!! It's been said in the 67 comments ahead of mine! CONGRATS to all three of you! Congratulations ...how fantastic..i knew you were a great quilter...so well deserved- to all three of you. fFantastic work...just watched the video too...thoroughly enjoyed the interview..and lovely to see and hear you both. Congratulations - your quilts are beautiful! More Congratulations to you all -- but absolutely no surprise that you garnered the awards! How wonderful that you were able to be there for the Awards Ceremony and all the WELL DESERVED applause! Congratulations!!! Your work is outstanding and the awards are more than well deserved!! I'm so happy for you. I love to see good and tallented artists have their work recognized at a big show. Wishing you all the best and continued success. So deserved and again congratulations! I followed all this on your IG account and commented there, was only today able to read blogs since I was on holiday in the US and arrived back home in The Netherlands just a few hours ago (don't have time to read blogs on holiday ;-) ) . And just I just have to comment here as well, even though it is a little late. Loved your work from the moment I first saw it and it is wonderful your work gets the recognition it deserves, it is always outstanding. Enjoy your success! Wow! Huge congrats. I'm sure you are still floating on clouds. And yes Paducah is on my bucket list, hopefully sooner rather than later. Oh wow, what a terrific story and such a huge congratulations to all of you. They are both so very beautiful and the awards are very much deserved!!!! Yay!!!! Congratulations! Very well deserved awards. How lovely to meet friends in real life too. You surely deserve the award and ribbon for you quilting! It is beautiful!! Congratulations! Your quilting is incredible! Wow, wow, wow!! How wonderful for you and you couldn't have been more deserving! I remember when I first saw the photos of Portland Rose when you had quilted it, I was in true quilting-love. Done Pickin' as well. How great you were there for the Awards,yay for you!